During the 1960s, strange yellow eyes were seen staring from an upstairs window of a two-story house near the corner of Greenwood and Center Street. 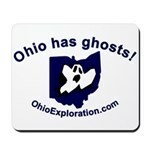 This entry was posted on Friday, October 29th, 2010 at 10:41 am	and is filed under Marion County. You can follow any responses to this entry through the RSS 2.0 feed. You can leave a response, or trackback from your own site.